In 1939 the last before the War civilian truck "L4500S" has been presented. It was equipped with a 112 hp OM67/4 diesel engine, 5-speed gearbox and a combined brake system: front wheels had a hydraulic drive; rear wheels had a pneumatic drive. The trucks had a payload of 4.95 tones and could reach 66 km/h on a highway. There was a rare version with a rectangular wooden cabin. Totally 6,402 trucks were made. 1214 of them were with a gas generator engine, worked on energy of burning wood. 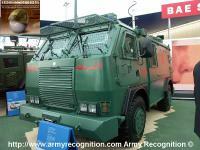 2021 trucks of 6402 made were chassis for special fire-fighting vehicles. The trucks had been produced till 1944. In the summer of 1945 the production of L4500S began again in Gaggenau.